When Russian President Valeri Volodin's ambitions are foiled in Dagestan, he faces a difficult choice. The oligarchs who support him expect a constant flow of graft, but with energy prices cratering, the Russian economy sputters to a virtual halt. Unable to grow the Russian market at home, his hold on power relies on expansion abroad--a plan that has been thwarted by the United States in the past. A little more than thirty years ago Tom Clancy was a Maryland insurance broker with a passion for naval history. Years before, he had been an English major at Baltimore's Loyola College and had always dreamed of writing a novel. His first effort, The Hunt for Red October, sold briskly as a result of rave reviews, then catapulted onto the New York Times bestseller list after President Reagan pronounced it "the perfect yarn." From that day forward, Clancy established himself as an undisputed master at blending exceptional realism and authenticity, intricate plotting, and razor-sharp suspense. He passed away in October 2013. Mark Greaney has a degree in international relations and political science. 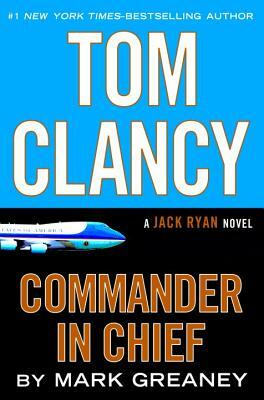 He is the author of the New York Times bestsellers Tom Clancy Support and Defend, Tom Clancy Full Force and Effect, Tom Clancy Commander in Chief, and Tom Clancy True Faith and Allegiance. With Tom Clancy he coauthored Locked On, Threat Vector, and Command Authority. He has written six books in his own Gray Man series: Gunmetal Gray, Back Blast, Dead Eye, Ballistic, On Target, and The Gray Man. In his research for these novels, he traveled to fifteen countries, and trained alongside military and law enforcement in the use of firearms, battlefield medicine, and close-range combat tactics.